Did you know salmon is high in omega-3 fatty acids, which are essential to the body and deliver some big health benefits? 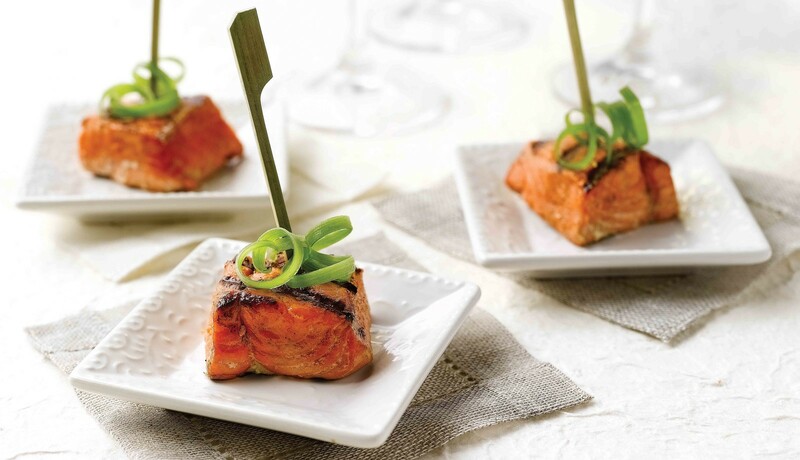 In honor of February being American Heart Month, Organic Beth (Chief Nutrition Officer of Green Bean Delivery), has adapted this original Alaska Sockeye Salmon Bites recipe from Wild Alaska Salmon & Seafood. 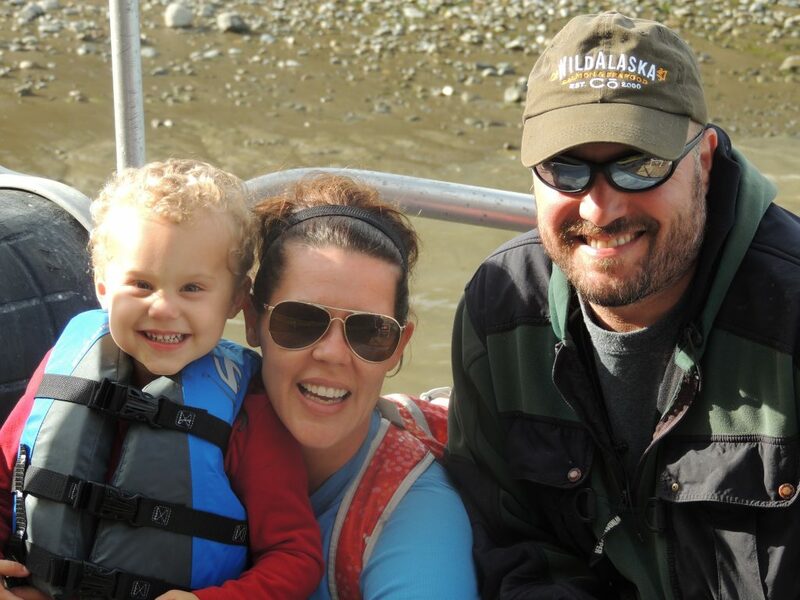 Wild Alaska Salmon & Seafood is a family-owned company committed to providing the highest quality salmon from the icy waters of Bristol Bay. Their methods of fishing are designed to catch only sustainable resource salmon; other species of fish and wildlife are not harmed or caught. As the salmon are caught, the fish are delivered on ice to shore straight from their boat on a daily basis, and are at once cleaned and hand-processed by their own processing team. This is called a “wet process”. The salmon is then immediately “flash frozen,” meaning that the product is deep frozen very quickly after the catch and packaged in vacuum sealed bags to lock in all of the quality and freshness. In a sauce pan, heat the oil over medium heat. Sauté garlic and ginger until soft. Add the wine or mirin, soy sauce, orange juice and honey; simmer until reduced by half. 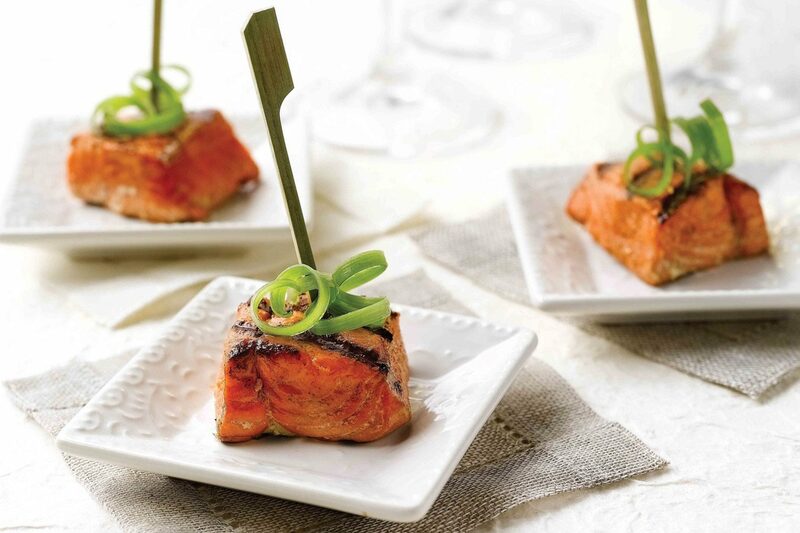 When cool, add Alaska Sockeye Salmon pieces to marinade and marinate for 3 to 5 minutes, turning to coat all sides. Grill salmon pieces over medium heat on grill or grill top, cooking just until fish is opaque throughout. Garnish with green onion curls or cilantro, if desired. Skewer with wooden picks to serve.